Previous PostPrevious Coming in 2019! New Live Entertainment for All Four Disney Parks! 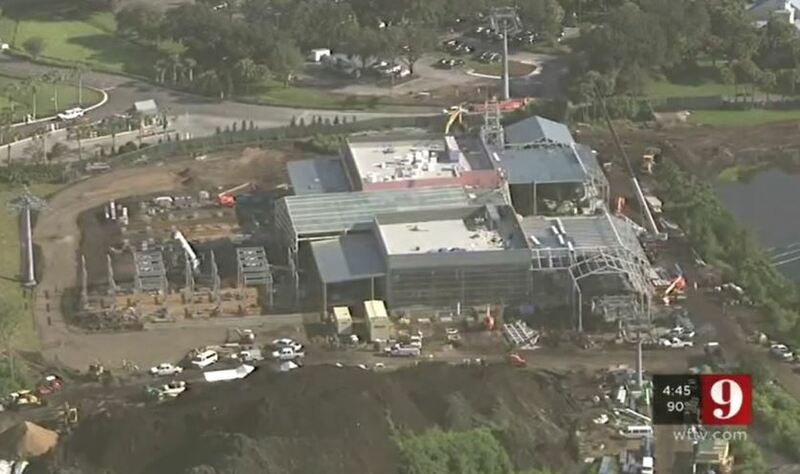 Walt Disney World gave an exclusive peek at the Disney Skyliner transportation system that’s currently under construction to WFTV9, Orlando’s ABC-TV affiliate, on Thursday. The Skyliner, which stretches across three miles, will transport guests in enclosed cars called gondolas suspended from cables strung between tall towers. 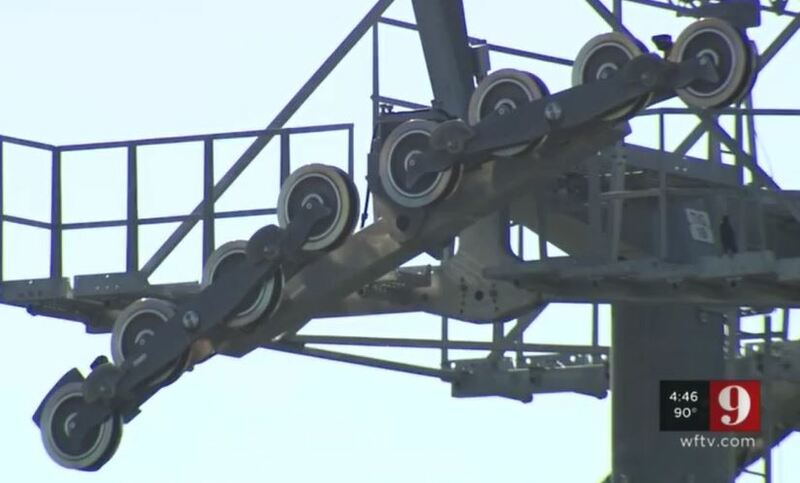 The gears on top of the towers will help move the gondolas along. This is the first up-close look we’ve gotten at the gears and other elements of the transportation system. 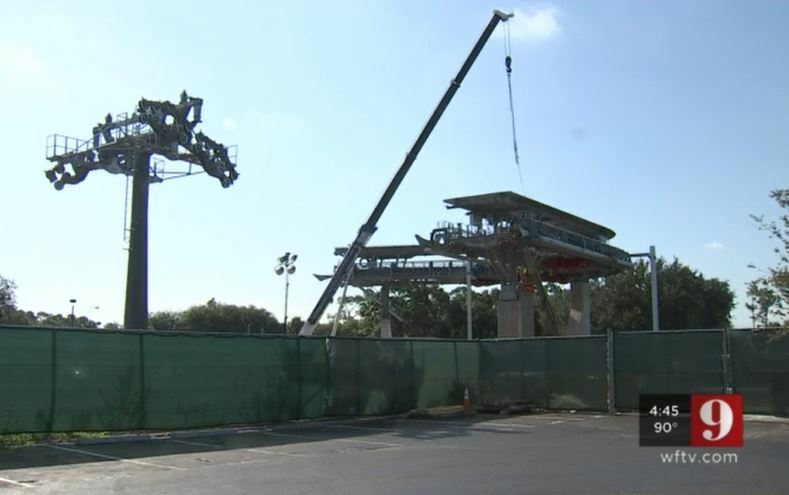 Once completed, the Skyliner, which stretches across three miles, will connect the Art of Animation, Pop Century, Caribbean Beach and the yet-to-open Riviera resorts with Disney’s Hollywood Studios and the International Gateway of Epcot. 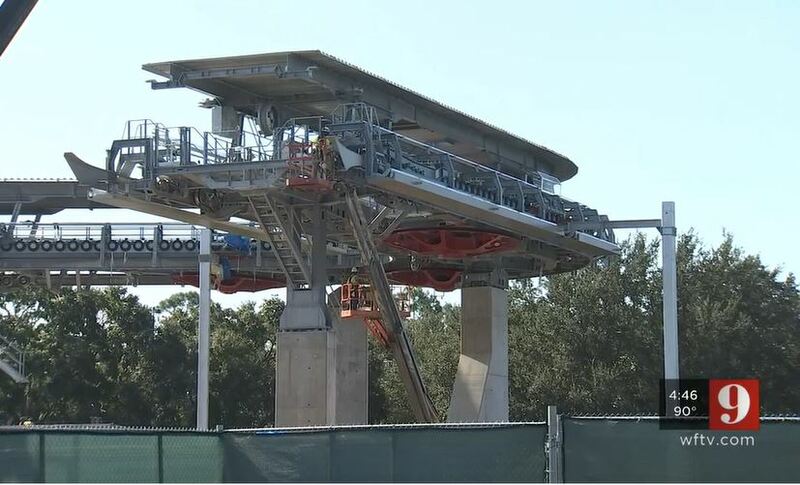 The “turn station” of the Disney Skyliner (below) allows the gondolas to change direction so they can head to International Gateway from the Riviera Resort. 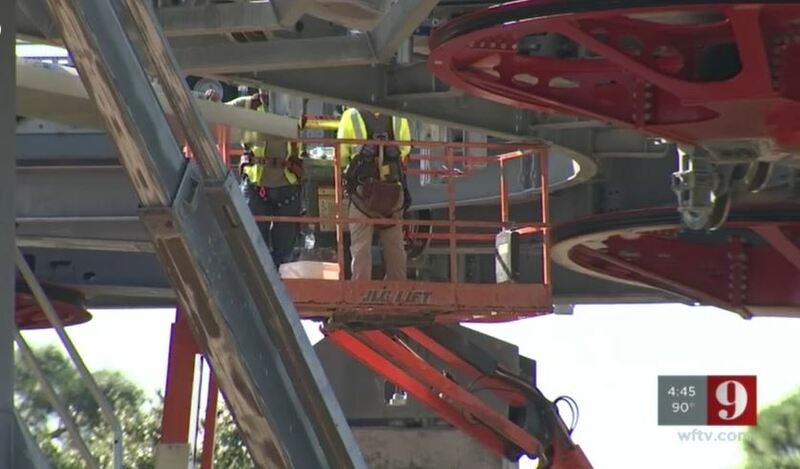 The gondolas will provide a bird’s-eye view of seldom-seen portions of Walt Disney World as they transport visitors high above parking lots and backstage areas. Disney has not released many details about the gondolas, except to say that some will feature Disney characters on the exterior. Below is new concept art on how the system will look once in operation. 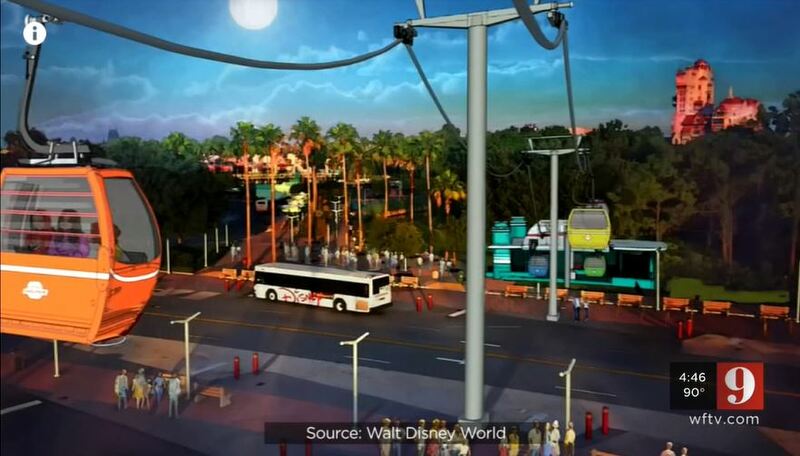 The Skyliner was officially announced on July 17, 2017, at the D23 Expo. It is slated to open sometime in 2019, but an official opening date has not been announced. I heard the Gondolas will not have air conditioning, is that true? Won’t they be hot inside? We’re hearing the same rumors you hear, but we haven’t heard any official word yet on whether there will be a/c in the gondolas. We’ll report as soon as we know for sure one way or the other. Does anybody know if guests with power wheelchairs or ECVs will be able to use the skyliner? 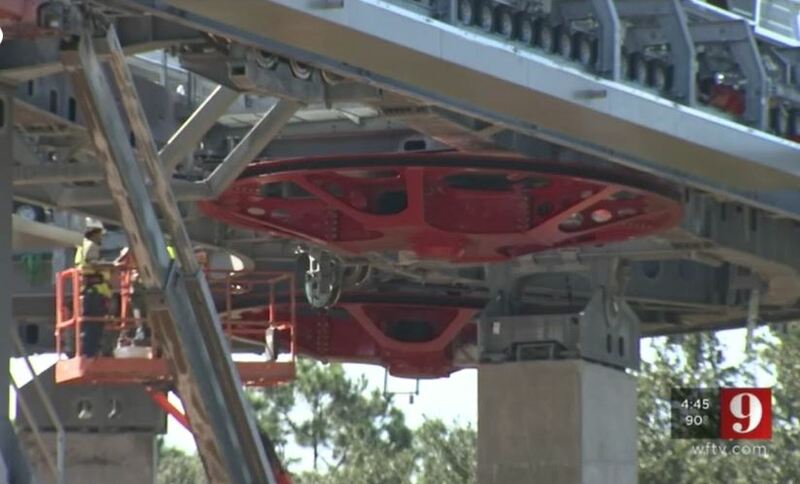 Esther, we haven’t had confirmation about this yet, but we assume that the Skyliner will be accessible. More details should be released soon, so please check back. Thank you, Debra; I’m very excited about the skyliner!